A Showcase page is a great way to display the features or products your company has to offer. Rather than post in-depth information on your home page in LinkedIn, the showcase page enables your company to tailor specific information to people interested in particular products or services your business may offer. If your business offers a diverse range of products or services, a showcase page is great way to engage a more targeted audience. Posting company news gives current and future clients the opportunity to see the exciting progress your company makes. It also builds on the credibility of your brand if there are publications about your company on social media. Additionally, sharing relevant industry news on your company’s LinkedIn page can help your company remain an active user on LinkedIn when there is no other content to post. It can be a great way to engage and interact with others in the industry. One way to increase your presence on LinkedIn in to become a member of industry-related groups and communities. With many groups and communities on LinkedIn boasting over 100,000 members, joining and participating in a few LinkedIn groups can help spread awareness of your company’s brand and product offerings. This can increase your company’s visibility, enable your company to better position itself as a “thought leader” in the industry, and can help you connect with more professionals in your specific industry. Most business will typically have only a homepage on LinkedIn. Adding a Careers page not only helps differentiate your company but also allows users to learn more about your company’s culture. The careers page can be utilized both in recruiting prospective employees and attracting potential partners and vendors as it can help build more awareness on the site. The addition of a careers page also provides a space for your company to explain more about your mission and values. 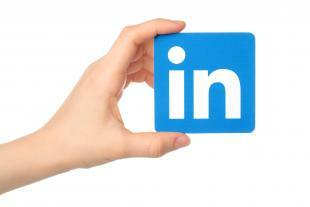 With these tips, your business’ LinkedIn page can be even more effective!